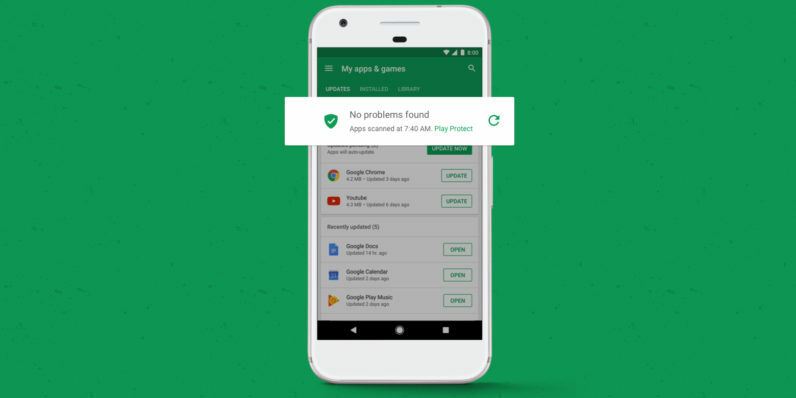 In an effort to keep Android users safe from malware on their phones, Google is rolling out its Play Protect security features to all devices running Google Mobile Services 11 and up. Google says it’ll automatically scan apps from the Play store that are installed on your phone to ensure there’s no funny business; apps that don’t play nice will be blocked or removed from your device. The service was first announced in May, but it’s now becoming more widely available. It’s good to have it around because, thanks to machine learning, it can spot new attacks that have only just begun doing the rounds. However, if you’re sideloading apps from outside Google Play, you still run the risk of being hit by a virus.